already read this book or have had it read to them. The teacher should ask questions before, during and after reading the book. 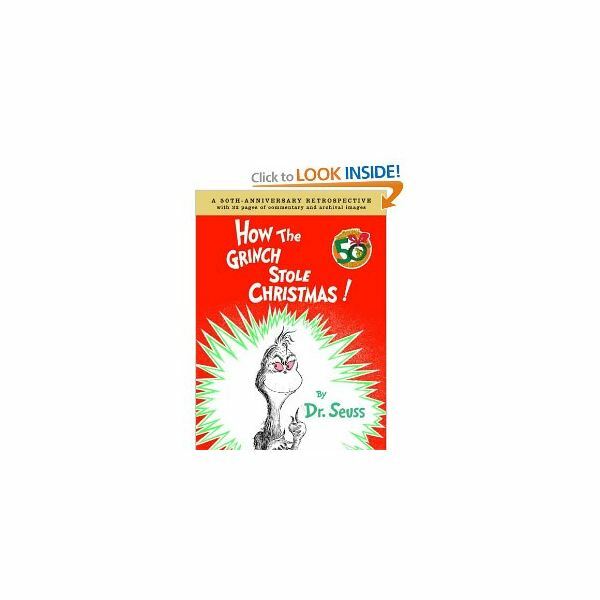 Who has read "How the Grinch Stole Christmas" before? What does Christmas or this holiday season mean to you? How do you celebrate the season or holiday? What do we think the Grinch will do next? How do you think the people of Who-ville felt? Why do you think the Grinch is the way he is (so mean)? Why do you think the Grinch changed his ways at the end? Have you ever known anyone similar to the Grinch? Who knows what the moral of a story is? (if the students do not know this is when the teacher can explain that the moral of a story is the lesson learned, usually by the main character). Ask students if they can think of any other words which rhyme with these sets of rhymes. Discuss with the class how the Grinch did not understand the true meaning of Christmas. Explain that there are many people who do not understand the true meaning of Christmas. As a class project or bulletin board theme have students bring in various pictures either from their family photos or magazines which depict what the holidays mean to them. Have students compile all of their photos and clippings onto a large poster board, working as a group. Discuss what each student brought in and why it is important to them. Hang the project on the bulletin board for the Christmas season.